We have different openings for Receptionist, Office assistant and Tax preparers. No experience is needed but if you have any experience it would help. and increases depending on experience and knowledge of our services. We have full time and part time positions. 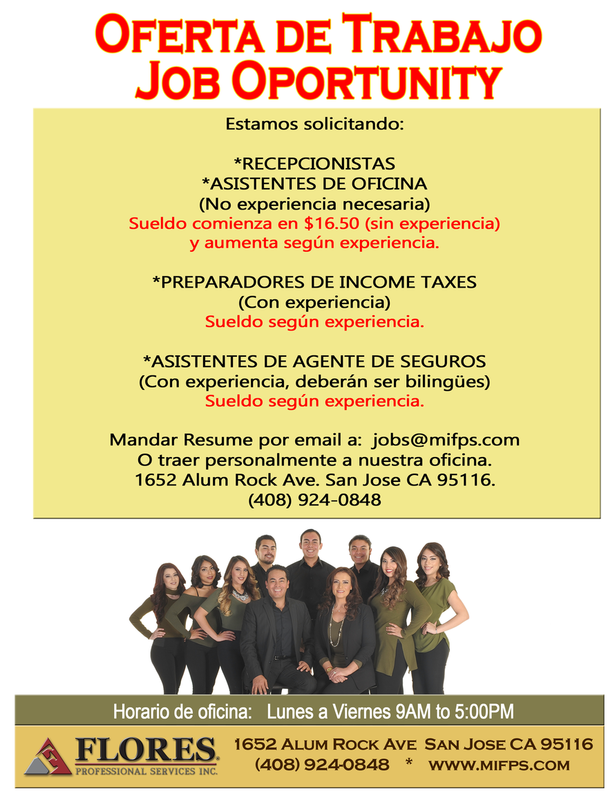 Our office is located at 1652 Alum Rock Ave. San José CA 95116 (408) 924-0848.
call us at (408) 924-0848 or stop by our office to complete an application and for an interview.